Great strides have been made in the development of analog filters over the past few decades. 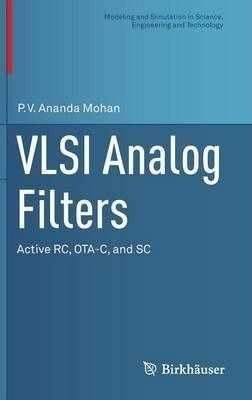 The first book to treat these recent advances in depth, "VLSI Analog Filters" provides a comprehensive guide for researchers and upper-level graduate students, which fully prepares readers for professional work. In particular, the work covers active R filters, OTA-C filters, and switched-capacitor filters, including topics such as differential output opamps, sensitivity analysis for passive components, multiple-feedback techniques, double-sampling, and N-path filters. Throughout the book, exercises are included to reinforce understanding of concepts, and simulations are used to enhance connections to practical applications. This advanced textbook is suitable for engineering graduate students studying analog filter design, offering a full course that can feed seamlessly to employment industry. At the same time, it serves as an extremely valuable reference for researchers and engineers looking to gain a deeper understanding of the field.